Mars is already brighter than usual and will shine even more— and appear bigger—as Tuesday nears. Astronomers expect good viewing through early August. A massive dust storm presently engulfing Mars, however, is obscuring surface details normally visible through telescopes. The Martian atmosphere is so full of dust that NASA's Opportunity rover can't recharge—not enough sunlight can reach its solar panels—and so it's been silent since June 10. Flight controllers don't expect to hear from 14-year-old Opportunity until the storm subsides, and maybe not even then. 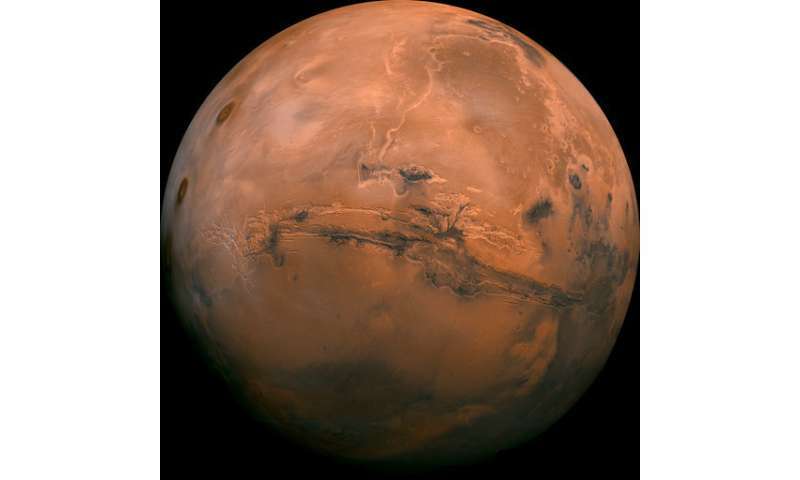 In 2003, Mars and Earth were the closest in nearly 60,000 years—34.6 million miles (55.7 million kilometers). NASA said that won't happen again until 2287. The next close approach, meanwhile, in 2020, will be 38.6 million miles (62 million kilometers), according to NASA.